The JF301 Walnut Coffee Table breathes modern elegance and contemporary in the living room or lounge. It has an oval minimalistic unusual look and a mix of materials made from sustainably sourced hardwood timbers. It has a bent wood veneer that forms the frame of the piece. The low tabletop and under shelf are constructed out of safety toughened glasstop in sleek piano black gloss, and both surfaces are supported by chromed metal, adding shine and strength to the whole piece. The open area is the perfect place as storage for magazines, books, remotes and small odds and ends. 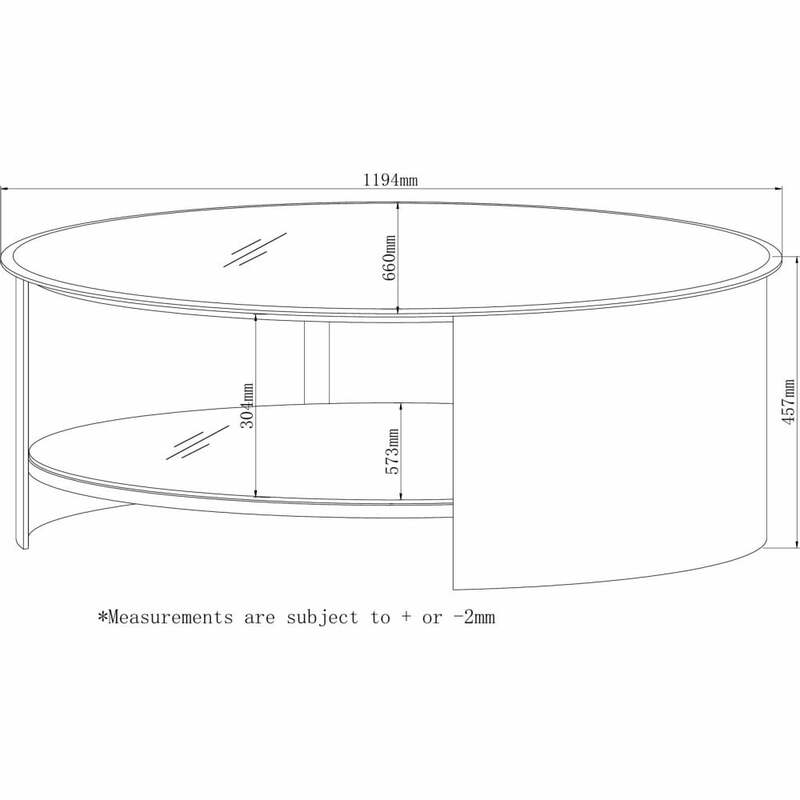 Available in Oak and Walnut finishes, the coffee table for sale is 1194 millimetres wide by 660 millimetres deep by 457 millimetres high. 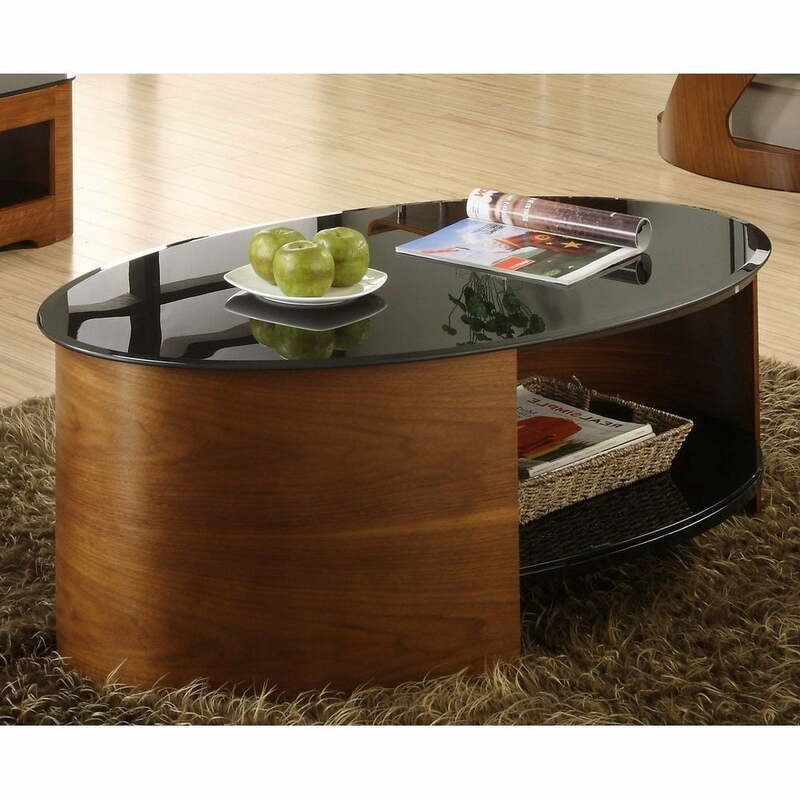 A variety of television stands and accent tables are available in the Jual collection to complement the coffee table. Cute coffee table for placing coasters and other stuff on at home. Easy to assemble and kids love crawling through it so it is also pretty tough. When I invited a couple of friends over, they were really complimentary of this table saying they like it and loads of other stuff. They say it looks so beautiful in my living room so I was very very proud. This table got a lot of compliments from my friends. It kind of stood out when i kept it as minimalistic as possible without putting any more details or ornaments on top of it. It looks gorgeous with a vase and some flowers on it or maybe just a simple decor. Fast delivery and good comms too. Cool coffee table, good size and looks great. Brilliant company to buy from, really helpful and delivered quickly. Very good product, swift delivery, very happy with the order & company.